On February 19 and 20 at the Barbados Yacht Club, the Barbados Entrepreneurs' Venture Capital Fund held its first Shepherding Training Programme designed to nurture a new crop of potential "shepherds," business mentors to tend a flock of local entrepreneurs. The course gave them a comprehensive introduction to the CBET Shepherding Model™ - intended to pull the wool off entrepreneurs' eyes. Dr. 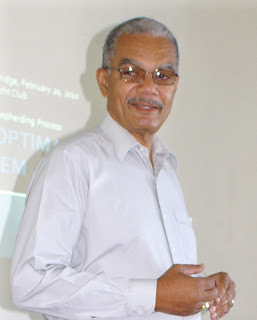 Basil Springer, Project Manager for Barbados Business Enterprise Corp. (BBEC), the company that manages the Fund, noted that shepherding was an essential component of The CBET Shepherding Model™ and it was therefore imperative that new mentors should learn about the process.